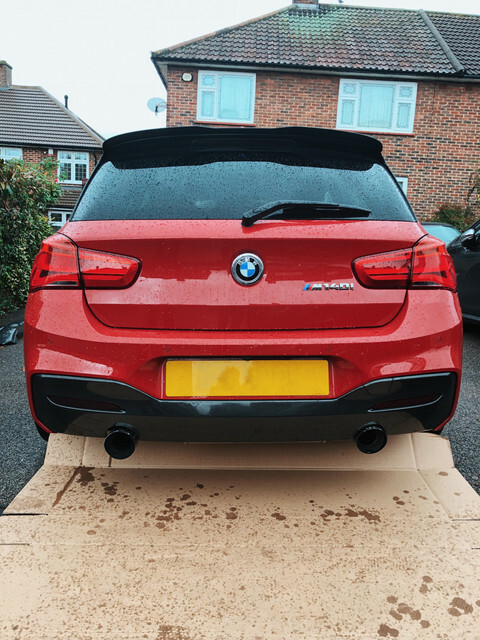 As some of you will have seen on the forum, we've been working tirelessly over the last few months to develop a rear diffuser for the M140i and M135i LCI. 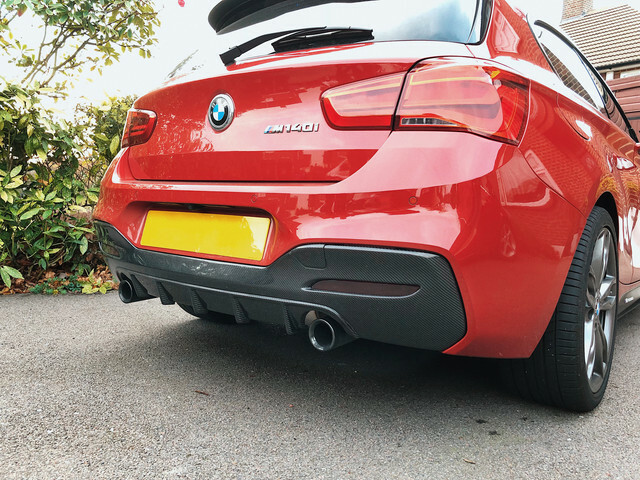 When we entered development back in June, we were the only one on the market developing a diffuser for the car, which actually took us for surprise. This isn't the first time we've tried to be ahead of the market though, our infamous 'M Style' Performance mirrors are loved by many and copied across the globe - we hope the diffuser is met with the same love. Hopefully copied less. We went through a few design iterations, below are a few mocks we made, but ultimately went with what we felt is the strongest - based on customer feedback and preference. We will be charging £359.95 for this diffuser in High Gloss Carbon Fibre when production ramps up. The other options include Gloss Black, which will be £309.95, and Dark Shadow (Same as original diffuser) which pricing is TBA. Now the purpose of this post is to first, show you guys the diffusers we have on offer, and second arrange a group buy that is exclusive to this forum. The pricing we'll give you for this group buy won't be available again and is an exclusive launch deal. It will work in tiers, the more people, the bigger the discount - simples. If you want to sign up, please use the form on our website here: https://autoid.uk.com/pages/the-autoid- ... r-diffuser. As I receive sign ups, I will confirm receipt on email and list names below so we can keep track of the no. of people signed up. Any questions or recommendations, let me know below. Jack, apologies for the failed attempt at a group buy on my thread haha. Seems quite a few are interested though. Jack - what is the fitting process for these? Takes less than 5 mins. 2 bolts and 2 plastic clips to be removed then the whole thing unclips off. Then reverse. Cheers fella! So happy with how they look! No worries Jamie, it was much appreciated and you done a great job. I just had to add some more details as there were quite a few questions! Add me for performance style in Carbon. hope we get 15+! I'd possibly go for one. Can't decide on carbon or black though.